A disk usage report shows how much disk space is currently being used on your Grid. The Grid allows for 100GB. Please use the following steps to check your disk space usage. If you are using a large amount of space, or have many files, it will typically take some amount of time to generate a report. You can generate a new report at any time. Select the Admin button from the Overview page of your Account Center. You can also select the primary domain for your Grid hosting service from the Domains menu. Select Disk Usage Report from the Stats & Reports menu. 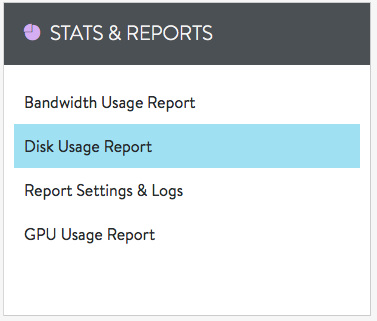 If you have not run a Disk Usage Report before, your report will automatically generate. However, if you have run a report in the past, this tool will display the most recent report and you will need to manually generate a new one on the same page. 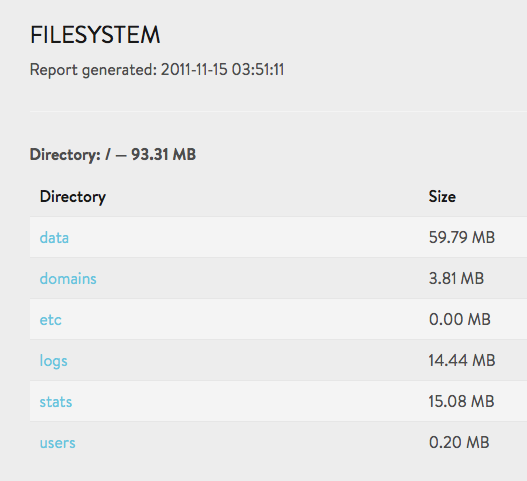 Once the report is finished generating, you will see a summary at the top of the page. Below the summary, you will see a list of directories. Feel free to click on any individual directories to get further information inside each one. 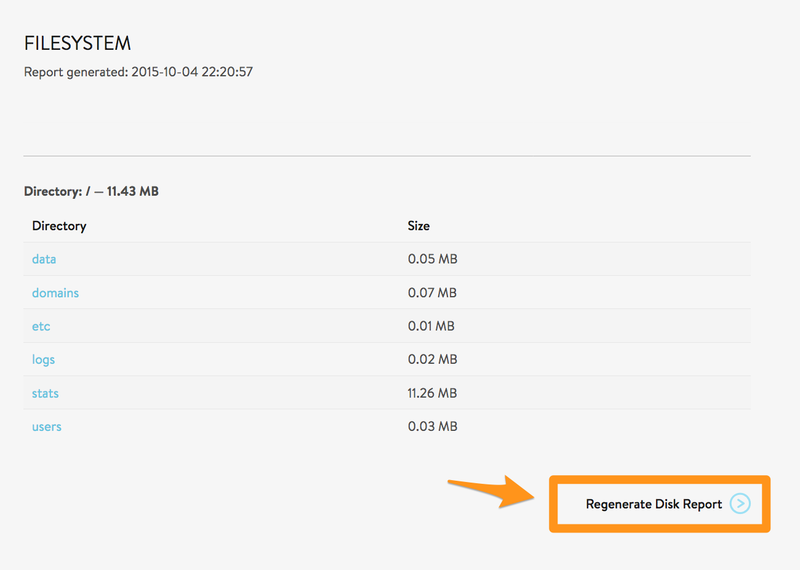 If your "Report generated" date appears old, be sure to click on the Regenerate Disk Report button to ensure the data you are seeing is up-to-date.